There are 18 groups in the periodic table. First group elements are called alkali metals. Second group elements are called alkaline earth metals. They are not as soft as Group 1. 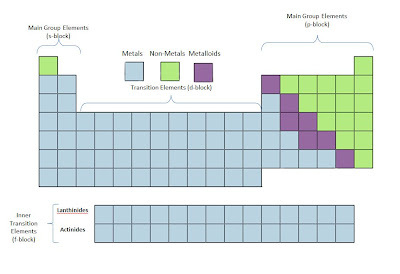 Groups three to twelve are called transition elements. 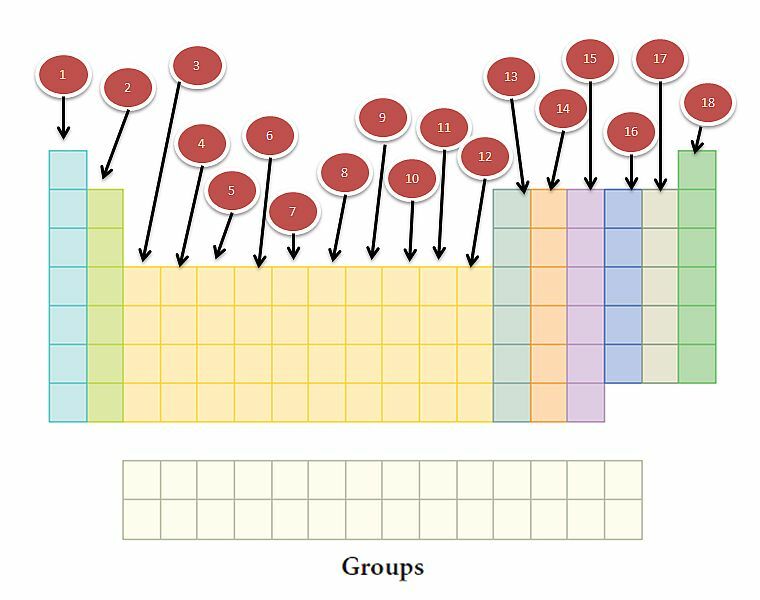 Group 1, 2 and 13 - 18 are called normal elements or main group elements or representative elements. Group 16 elements are called chalcogens (except polonium). Group 17 elements are called the halogen family. Group 18 elements are called noble elements (earlier called inert gas group). 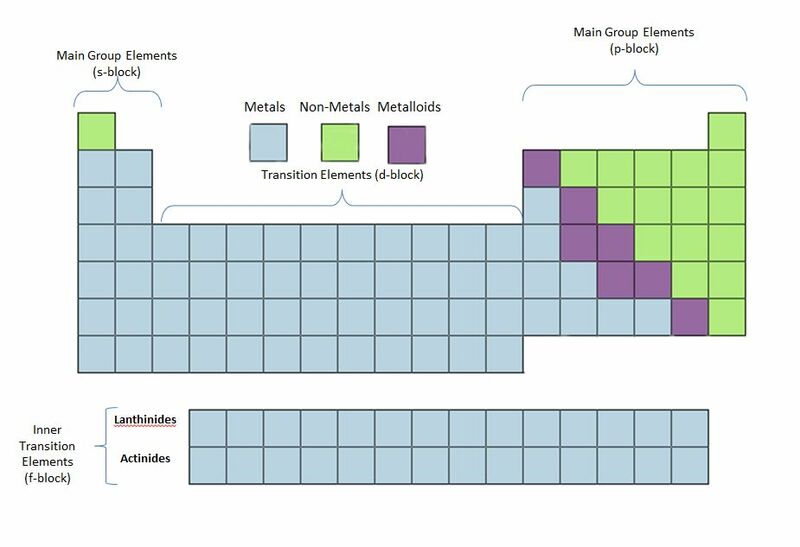 The lanthanides and actinides which form part of group 3 are called inner transition elements. Horizontal Rows are called periods in the Periodic Table. 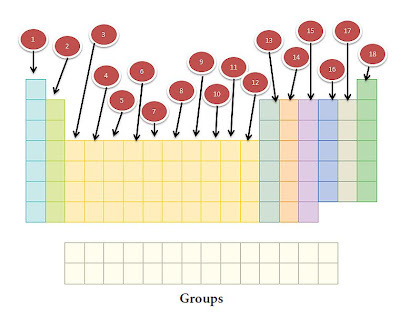 There are seven periods or rows. 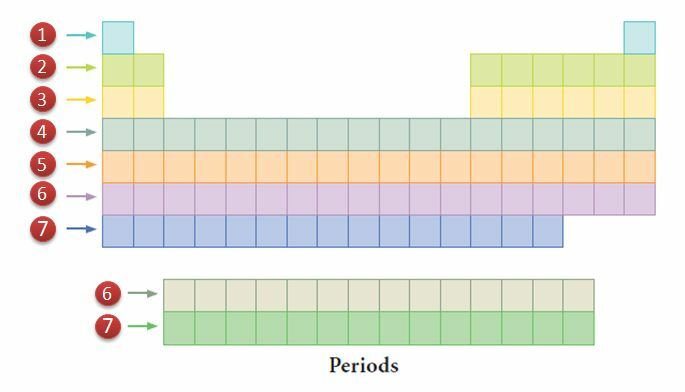 First period (Atomic number 1 and 2): This is the shortest period. It contains only two elements (hydrogen and helium). 2nd Period: (Atomic number 3 to 10): It contains eight elements (lithium to neon). Third period (Atomic number 11 to 18): It contains eight elements (sodium to argon). Krypton). i.e. 8 normal elements and 10 transition elements. 5th period (Atomic number 37 to 54): Contains 18 elements (rubidium to xenon). Includes 8 normal elements and 10 transition elements. 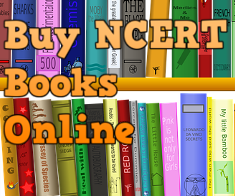 Sixth period (Atomic number 55 to 86): The longest period. It contains 32 elements (Caesium to Radon). Has 8 normal elements, 10 transition elements and 14 inner transition elements (lanthanides). 7th period (Atomic number 87 to 118): As like the sixth period, this period also can accommodate 32 elements. Till now 26 elements have been authenticated by IUPAC. The periodic table includes “blocks” defined in terms of which type of orbital is being filled via the Aufbau principle. This gives us the s-block, p-block, d-block, and f-block. The s-, p-, d-, and f-blocks contain elements with outer electrons in the same type of orbital. Another key link between electron arrangement and position in the periodic table is that elements in any one main group have the same number of electrons in their highest energy level. The number of elements discovered so far is 118. The last element authenticated by IUPAC is Og 118 (Oganesson). The Metallic Strength increases (Non-Metallic Strength decreases). Q1: What are the defects in the Modern Periodic Table? The position of hydrogen still dicey. It is not fixed till now. The position of lanthanides and actinides has not been given inside the main body of the periodic table. Q2: What are the salient features of the Modern Periodic Table? In a period of the periodic table, the number of valence electrons increases as atomic number increases. As a result, elements change from metal to metalloid to nonmetal to a noble gas. decreases. As atomic number increases in a group, atomic radius increases. Positive ions have smaller atomic radii than the neutral atoms from which they derive. Negative ions have larger atomic radii than their neutral atoms. Positive ions in the same group increase in size down the group. in a group show similar chemical behaviour. Q3: Two elements X and Y have atomic numbers 12 and 16 respectively. Write the electronic configuration for these elements. To which period of the modern periodic table do these two elements belong? What type of bond will be formed between them and why? Both these elements belong to the third period. An ionic bond is formed between X and Y due to the transfer of two electrons from X to Y.
Q4: The present classification of elements is based on which fundamental property of elements? Answer: Atomic Number is the basis. Q5: Li, Na and K are the elements of a Dobereiners Triad. If the atomic mass of Li is 7 and that of K is 39. What would be the atomic mass of Na? Answer: According to of Dobereiner’s law of triads, the atomic mass of the middle element, in this case, Na, should be the arithmetic mean of Li and K.
Q6: Define Dobereiner’s law of triads. Answer: It states, "when elements are placed in order of the ascending order of atomic masses, groups of three elements having similar properties are obtained. The atomic mass of the middle element of the triad is equal to the mean of the atomic masses of the other two elements of the triad." Q7: Why did Dobereiner's system of classification fail? The major drawback of Deberneir’s classification was that it was valid only for a few groups of elements known during that time. He was able to identify three triads only. Also with more accurate measurements of atomic masses showed that the mid element of the triad did not really have the mean value of the sum of the other two elements of the triad. Q8: Explain about the position of metalloids in the modern periodic table. Answer: In the Modern Periodic Table, a zig-zag line separates metals from non-metals. The borderline elements – boron, silicon, germanium, arsenic, antimony, tellurium and polonium – are intermediate in properties and are called metalloids or semi-metals. Q9: Why does Silicon classify as metalloid? Answer: Silicon is classified as a semi-metal or metalloid because it exhibits some properties of both metals and non-metals. Q10: State Newland's law of octaves. Answer: Elements are arranged in increasing order of their atomic masses such that the properties of the eighth element are the repetition of the properties of the first element ( similar to eighth note in an octave of music). Q11: X and Y are the two elements having similar properties which obey Newlands law of octaves. 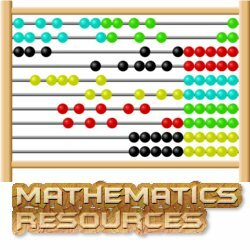 How many elements are there in between X and Y? Answer: The law states there are eight elements in an octave (row). No. of elements between X and Y is six. Q12: What are the drawbacks of Newland's law of octaves? Worked well with lighter elements (up to Calcium). After those elements in the eighth column did not possess properties similar to the element in the first column. Newland assumed only 56 elements existed so far. Later new elements were discovered which did not fit into octaves table. Newland adjusted few elements in the same slot though their properties were quite different. E.g. Cobalt and nickel are in the same slot and these are placed in the same column as fluorine, chlorine and bromine which have very different properties than these elements. Iron, which resembles cobalt and nickel in properties, has been placed far away from these elements. Q13: What periodic trends do we observe in terms of atomic radii or atomic sizes in the Modern periodic table? Answer: Following two trends are observed. Within each column (group), atomic radius tends to increase from top to bottom. This trend results primarily from the increase in the number of the outer electrons. As we go down a column, the outer electrons have a greater probability of being farther from the nucleus, causing the atom to increase in size. Within each row (period), atomic radius tends to decrease from left to right. The major factor influencing this trend is the increase in the nuclear charge as we move across a row. The increasing effective nuclear charge steadily draws the valence electrons closer to the nucleus, causing the atomic radius to decrease. Q14: Name the scientist who proposed the modern periodic law? On which fundamental property of elements it is based? Answer: Henry Moseley. He proposed atomic number should be chosen as fundamental property (instead of atomic mass) to classify elements. Q15: On what basis did Mendeleev arrange the elements? Answer: On the basis of atomic masses. Q16: An element R of atomic number 12 combines separately with NO3- and (SO4)2-, (PO4)3- radicals. b) Write the formulae of the three compounds so formed. c) To which group of the periodic table does the element ‘R’ belong? d) Does it form the covalent or ionic compound? Why? a) Electronic configuration of R is 2,8,2.
c) R has two valence electrons and hence it belongs to the second group. d) It forms an ionic compound by losing two electrons to attain a stable electronic configuration. Q17(NCERT): Why do you think the noble gases are placed in a separate group? K, C, AI, Si, Ba. Oxygen is a member of group VIA in Mendeleev's Periodic Table. Its valency is 2. Similarly, the valencies of all the elements listed can be predicted from their respective groups. This can help in writing the formulae of their oxides. (i) Potassium (K) is a member of group IA. Its valency is 1. Therefore, the formula of its an oxide is K₂O. (ii) Carbon (C) is a member of group IVA. Its valency is 4. Therefore, the formula of its oxide is C₂O₄ or CO₂. (iii) Aluminium (Al) belongs to groups IIIA and its valency is 3. The formula of the oxide of the element is Al₂O₃. (iv) Silicon (Si) is present in group IVA after carbon. 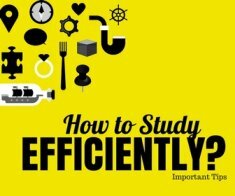 Its valency is also 4. The formula of its oxide is Si₂O₄ or SiO₂. (v) Barium (Ba) belongs to group IIA and the valency of the element is 2. The formula of the oxide of the element is Ba₂O₂ or BaO. Q20: Besides gallium, which other elements have since been discovered that were left by Mendeléev in his Periodic Table? Answer: Scandium and germanium are the two elements that had been left by Mendeleev. Q21: What were the criteria used by Mendeléev in creating his Periodic Table? (i) Physical and chemical properties of the elements. 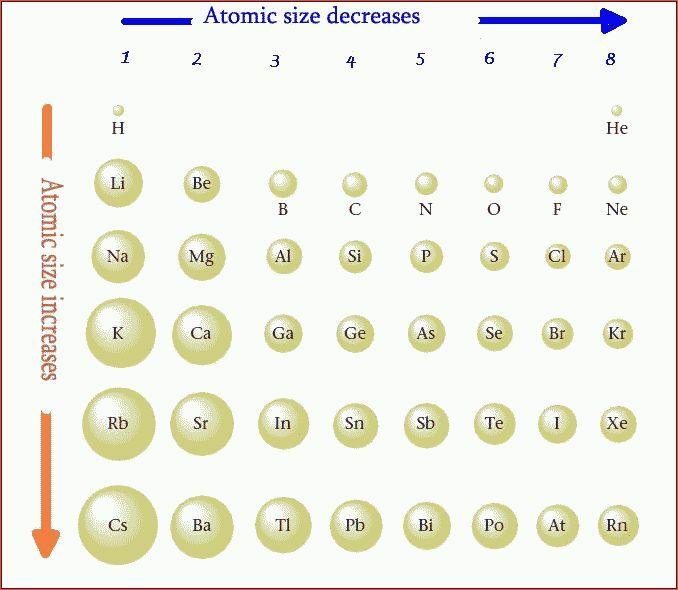 (ii) Atomic masses in increasing order.